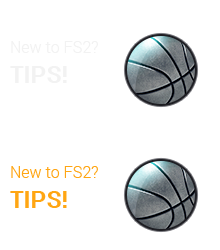 Greetings Ballers, There are some features in the game that are quite old and are in need of a refurbishing. In order to update the outdated mechanics of the game, we have decided to remove the class and AP System. Rest assured that we are not just removing the Class/AP System of the game, but we are revamping it to a better one! We would like to introduce the new User Grade System, it will be called the Green User System. FAQs Q : When will the Green User System start? A : The Green User System will be live on our April 24 Patch Q : I'm a Diamond Class user! What happens to my class and AP when the User Grade System changes? A : When the time the Green User System goes live, the former APs will reflect to the Green User Grade and it will last until the 1st of May. Q : Will we get compensation for the closure of the User Grade System? A : Yes, we will be giving away compensation depending on the AP Grades of the users had after our 4/24 patch. Q : Will the Green User System also have points? A : Yes, these points will be called Green User Points You can acquire the points by completing daily / monthly missions and etc. Q : If I accumulate the Green User Points, will they disappear? A : The Green User Points will be initialized every first day of the month. Q : What happens to the AP Market Items? A : The AP Market Items is available for purchase up until the April 24 Patch. Q : What will be the Benefits of the Green User Grade System? A : The benefits will be announced at a later date. Greetings Ballers, We are currently aware that there is a ongoing bug in the rebate of the Cash Back Event when adding clothing attributes using both Event and Regular GKash. 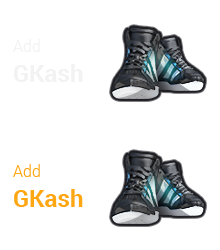 When a player uses both Event GKash and Regular GKash to add attributes to his clothing, the amount of Regular GKash used will not be added to the rebate of the Cash Back event. We are currently doing our best to provide a fix for the said issue. We will also properly credit the correct amount of rebate from Regular Gkash used during the next maintenance for all affected users. We apologize for any and all inconveniences caused - Create your own style, Freestyle! Celebrate the Songkran Festival with these Events! Event Period: April 13 00:00 - April 15 23:59 Songkran Festival Benefit 1: Discount Event! Items on Sale: Card Sub Attribute Changer - 50% Off! 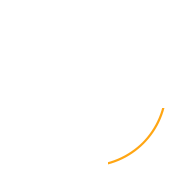 Price: 100 GKash → 50 GKash Card Ball - 50% Off! Price: 70 Gkash → 35 GKash Songkran Benefit 2: Lucky Change Event! Additionally, we are also re-releasing the Lucky Chance event! The Lucky Chance Event allows users to get better Sub Attributes the more they use Card Sub Attribute Changers! For more information about the Lucky Chance Event, please refer to this [Event Post] This event is only open for a limited time! So hurry! EVENTS SNS Event: 30 Matches to Go! Round 2! Dance to the beat of the Mariachi and shoot some bolas into the hoop with these outfits! Check them out at the shop! Event Period: 04/03 00:00 ~ 04/23 23:59 Mexican Style Sombrero These are the items you can get when opening these Capsules: Hat of a Mariachi Card Ball x1 2000 Points 1000 Points Mexican Style Costume F and M These are the items you can get when opening these Capsules: Mariachi Uniform Card Ball x1 2000 Points 1000 Points Get these hermoso trajes now!